Parents prepare children for the physical playground at an early age, offering safety and social lessons that are the building blocks for their young lives. Yet, children are oftentimes unsupervised and unprepared to play safely on the digital playground—where they can very easily make bad and potentially dangerous decisions. While technology offers young people access to more information and opportunity than previously imagined, parents need to guide young people spending a large part of their lives immersed in a screen. A study of U.S. children in grades 4-8 conducted by the Center for Cyber Safety and Education examined the types of inappropriate behavior children participated in while using the Internet. More than 60 percent of the children surveyed had searched for and accessed adult websites, while 31 percent lied about their age to gain entry to adult websites. Almost 45 percent of the children surveyed reported telling strangers online that they were older than they truly were, and 11 percent had met up with a stranger. As a parent, you can intervene and start the technology dialogue, a conversation that emerges at the youngest of ages and simply never stops. When your child encounters something they have not seen before and don’t understand, they need to know that they can come to you. Only by making this discussion a part of your every day life can you expect them to come to you first. The Cyber Salon delves into how parents can positively shape a child’s experience with technology, from recognizing what a child experiences in the virtual world and meeting those needs real-time to role-modeling socially appropriate uses of technology. Each customizable Cyber Salon will explore a wide-ranging landscape of cyber safety and cyber ethics issues—from security, privacy, digital strangers, bullying and screen-time balance to technology addiction, sexting, digital reputation, body and self-image, alongside addressing specific family and community concerns. 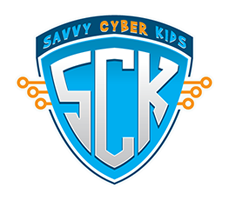 The Cyber Salon program can be divided in a youth-only section, a parent-only section and a combined parent/child section to make sure that the entire family is fully engaged and committed to best practices moving forward.